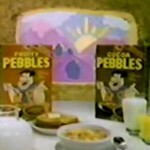 The Flintstones, the Modern Stoneage Family, had sold many products through their lengthy TV career. 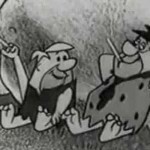 In 1967, Anheuser Busch contracted Hana Barbara to produce these promotional campaign Flintstone cartoons for Busch beer. 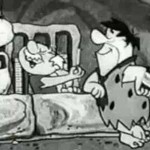 In this rare promotional cartoon, Fred Flintstone and Barney Rubble pound a few drinks and even bartend for awhile. Most memorable moment: The women’s hand that comes out of space as Mr. 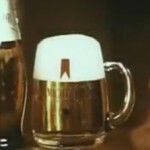 Slate drinks his beer to tell him to forgive Fred and Barney and give them another chance.